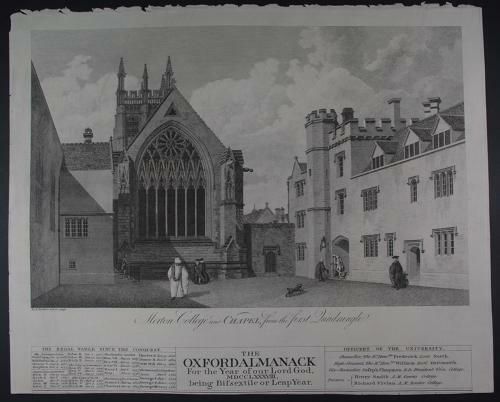 Long title: The Oxford Almanack For the Year of our Lord God, MDCCLXXXIII. being Bissextile or Leap Year.Fine copper engraving. Overall sheet size : 49.4cms.x 39.8cms. Image size : 470mm.x 380mm.Including inserts of : The Regal Table since the Conquest and List of Officers of the University.